(February 10, 2016) A year and half after the regional team called off a tour to India, there is fresh controversy in West Indies cricket as the players are now opposed to a pay cut ahead of the ICC Twenty20 World Cup. Members of the West Indies squad are demanding that the West Indies Cricket Board (WICB) improve the financial terms of their contracts for the tournament and have requested an urgent meeting ahead of the March 8 – April 3 competition, set for India. The concerns, which centres around a 75 per cent-pay cut were outlined in a letter from team captain Darren Sammy to the WICB which, among other things, pointed to a fall-off in guaranteed earnings from the tournament compared to previous arrangements. The players are demanding 100 per cent of prize money and a doubling of match fees, which currently stand at US$6,900. 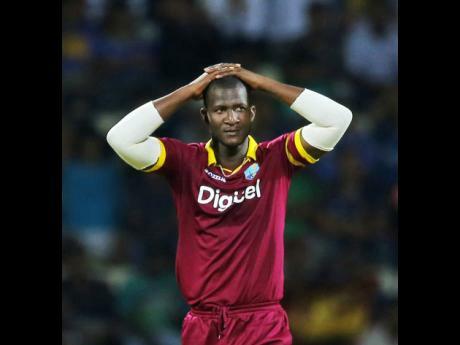 Fourteen of the 15 members selected to represent the West Indies in India next month are yet to sign their contracts for the tournament with the deadline set for February 14, 2016 and Sammy, who rejected the credibility of the West Indies Players Association (WIPA), made it clear that the WIPA negotiated terms will not be accepted by the players. One player on the squad has already signed the WICB’s Twenty20 World Cup contract with Sulieman Benn reportedly putting pen to paper. Referring to a US$8-million ICC payment received by the WICB, Sammy urged the Board to revert to a previous remuneration package, which saw players earning 25 per cent of income received by the WICB for participation in ICC tournaments. He noted that under the previous deal, players would be guaranteed US$133,000 as opposed to the US$27,600 under the current terms if they play in all official matches. “We have collectively discussed the remuneration on offer to participate in the T20 World Cup. Considering that 14 out of the 15 man squad are not part of WIPA – and hence have not given authorisation to WIPA to negotiate on our behalf – and a large number do not receive any significant remuneration from WICB at all, we want the opportunity to negotiate fairly the financial terms within the contract,” Sammy’s letter stated. The 2015 World Cup took place with the WI squad remunerated under the terms and conditions that had been in place for the World Cups previously – that is 25 per cent of income received by the WICB for participating in the tournament was distributed to the squad,” Sammy letter was quoted. However, in a response, WICB CEO Michael Muirhead, underlined that the organisation will only negotiate with WIPA on compensation matters, while outlining that the ICC’s new payment cycle which now sees an eight-year distribution arrangement replacing lump sum payments, means that the WICB cannot identify exactly how much it will be paid in relation to the World Twenty20. “… It is not possible to calculate a percentage to be paid to the Squad, as the ICC distribution is no longer being made in the traditional manner. The WICB, in recognition of this, and in an effort at fairness and transparency, allocates 25 per cent of WICB revenues estimated over a four – year period – including ICC distributions – to players, through a guaranteed minimum revenue pool, out of which player payments are made,” he said. “Anything in excess of this minimum over the relevant 4 – year cycle, will be divided solely among the international players, as agreed with WIPA,” added Muirhead’s response to Sammy. Muirhead also noted that the match fee is three times the usual fee and also noted that players would receive 50 percent net of sponsorship generated for the event and 80 percent of prize money, which has seen an 86 percent increase. In an interview with (Jamaica’s) Hitz 92FM yesterday afternoon, Muirhead also noted that they are prepared to send other players to the T20 World Cup if contracts aren’t signed by the February 14 deadline. There were indications that things were coming to a head when suggestive Instagram posts were made by Sammy and Dwyane Bravo.